WILLEMSTAD - Two weeks after the opening of the borders with Venezuela, the import of fruit and vegetable boats to the island is still stagnant. This morning a second fruit boat arrived, but it should have been six. 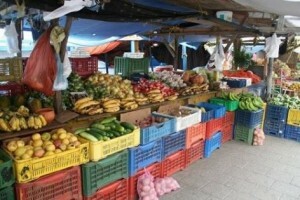 Five boats were not allowed to take their fruit and vegetables and are still in the port of Vela di Coro in Venezuela. The reason why is still not clear.